When offices work hard they can get overlooked; paint chips, cabinets get knicked, and furniture wears out. The professionally trained installers and service technicians at BOS will work with you to ensure your office looks as professional as the talented people in it. With over 25 years of experience in office refurbishing Barry Office Services has completed work for several organizations, including: banks, legal firms, printing companies, etc. We have what it takes to make you a happy customer as well. Does your office need an updated look but you don’t want to spend loads on new furniture? Consider reupholstering. We have a large selection of fabrics to choose from, that are suitable for any type of chairs or panel systems. For a third of the cost of buying new, it is an economical way to get a new look in that outdated office. 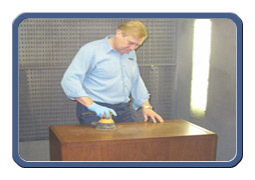 If its metal it can be electrostatically painted - at BOS we can match any colour to refinish virtually anything including desks, metal chairs, cabinets, etc. Whether you have just a small office or something as large as a restaurant, we do it all! Our facility is equipped with a complete paint booth for electrostatic painting; onsite painting is also available to reduce downtime. We offer complete office furniture repair services. From your office chair to your filing cabinet, any problem that arises we can fix it in a timely and efficient manner. Sometimes your old furniture could use a facelift. If it is structurally sound and of a pleasing design, there is no reason to replace it. Weather it’s a small minor repair, matching a piece to your current furniture or reconditioning a whole suite of furniture, don’t throw away that old gem, we are here to maintain, clean and refinish your furniture. Satisfied with the look in your office but require a little 'freshening up'? 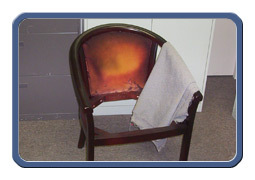 Let BOS take care of any steam cleaning you may need in your office; from your office panels, to chairs, even your carpet. BOS can either provide this service at your location or back at our service office. If you would like to prolong the life of your fabric, BOS can fabric coat your furniture to resist stains and leave your furniture looking 'new' for a long time! Furniture is a major investment for any company. To get your moneys worth you need to know what you have, where it is and what condition it is in, so you can easily deploy these assets as soon as a need arises. At our warehouse located in Scarborough, Ontario we will store your excess furniture and provide an updated inventory listing on the items stored. Items will be identified by manufacturer, product, size, colour/finish and current condition of the item. When it is time to use that furniture, we will be happy to remove it from our warehouse and deliver and install if necessary at your current office location. 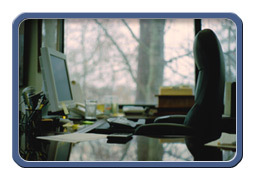 Barry Office Services also provides commercial office moves and reconfigurations. With well trained installers and technicians we can dismantle, move and reassemble all furniture components. A BOS representative will visit you at your existing site to provide you with a quote for your move or reconfiguration. Is your office moving? We can help. 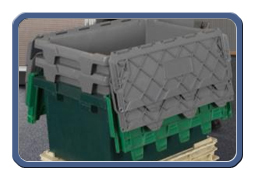 With rentals from our inventory of computer carts and storage bins, we can ensure your moveable items are safe and secure. BOS will also supply moving labels and security tags to assist with your moving needs. Locksmith Services: key cutting, installation/replacement, safe maintenance and combination changes. 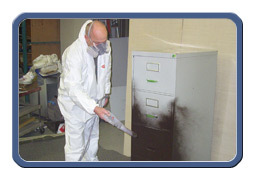 If you would like a free estimate for your office, or more information please click here.